Figure 4-2. Manufacture of yogurt. has usually been about 1:1. Although this ratio can be adjusted, depending on the desired properties of the final product, it is important that both organisms be present. Criteria used for selecting yogurt starter culture strains are based on several general performance characteristics, as well as other traits that provide specific functions (Table 1). General requirements include vigorous and rapid growth, such that the culture is able to lower the pH to the target level within four to six hours.The culture should produce good flavor without bitterness or excess acidity. Resistance to bacteriophages is also expected.The starter culture must also be tolerant of storage conditions, whether frozen or lyophilized, so that viability is retained and long lag phases are avoided. Table 1. Desired properties of yogurt cultures. There are also several specific characteristics expected from the culture, depending on the wants and needs of the manufacturer. For example, cultures may be selected on the basis of whether they produce viscous yogurts with strong body or little viscosity and a relatively mild body. High-body yogurts are generally made using exopolysaccharide-producing cultures, as described elsewhere. In addition to the use of customized cultures for body characteristics, there is also a preference among yogurt manufacturers in the United States to use cultures that produce so-called mild flavored yogurts (Ott et al., 2000).These cultures make enough acid to cause milk coagulation, but not so much that the pH drops below 4.4 to 4.5. In contrast, traditional acidic yogurts often reach a pH of 4.0 or even lower.The less acidic yogurts are not only preferred by many consumers, but if probiotic adjuncts are added to the yogurt, their rate of survival during storage is generally enhanced at the higher pH. Of the two organisms used for yogurt fermentations, Streptococcus thermophilus and Lacto-bacillus delbrueckii subsp. bulgaricus, it is the latter that is usually (but not always) responsible for excessive acid production.This organism grows well at 42°C to 45°C, so one effective way to limit acid production is simply to incubate the yogurt at lower incubation temperatures (around 37°C).Alternatively, L. delbrueckii subsp. bulgaricus can be omitted altogether from the culture blend and replaced with a different strain (e.g., Lactobacillus casei) that may produce less acid. In addition, it is possible to select for natural acid-sensitive derivative strains (that necessarily stop making acid at some particular low pH). Presumably, some of the commercial yogurt cultures promoted as being low acid or mild-flavor cultures contain these strains. Similarly, strains that are sensitive to low temperature could also be used, since they would cease fermentation when the product was shifted to refrigeration temperature.One example of this particular approach was the isolation, via chemical mutagenesis, of a L. delbrueckii subsp. bulgaricus variant that synthesized a "cold-sensitive" p-galactosidase (Adams et al., 1994). Adams, R.M., S.Yoast, S.E. Mainzer, K. Moon,A.L. Polombella, D.A. Estell, S.D. Power, and R.F. Schmidt. 1994. Characterization of two cold-sensitive mutants of the p-galactosidase from Lactobacillus delbrueckii subsp. bulgaricus.]. Biol. Chem. 269:5666-5672. Ott,A.,A. Hugi, M. Baumgartner, and A. Chaintreau. 2000. Sensory investigation of yogurt flavor perception: mutual influences of volatiles and acidity. J.Agri. Food Chem. 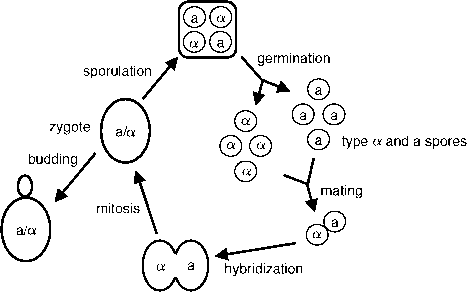 48:441-450.
synergistic growth has been the subject of considerable study since the 1960s. That S. thermophilus always appears to grow first in co-culture experiments suggests the initial milk environment is somehow less conducive for L. delbrueckii subsp. bulgaricus. It is now thought that S. thermophilus lowers the pH and Eh to levels preferred by L. delbrueckii subsp. bulgaricus. In contrast, S. thermophilus is weakly proteolytic and lacks the ability to hydrolyze casein, but can still make do, at least initially, by relying on the small pool of free amino acids present in the milk. Later, when those amino acids are depleted, S. thermophilus benefits by its association with L. delbrueckii subsp. bulgaricus, since the latter produces a proteinase that makes peptides and amino acids available for all organisms that happen to be present. Eventually, however, during the co-culture environment, L. delbrueckii subsp. bulgaricus will produce more acid than can be tolerated by S. thermophilus. In yogurt, therefore, the S. thermophilus population may begin to decrease. If these organisms were continually propagated as a single mixed culture, the S. thermophilus would likely be displaced after several transfers.Therefore, in the manufacture of commercial yogurt cultures, the streptococci and lactobacilli are ordinarily grown separately in rich media under species-specific optimum conditions, harvested, and then mixed in the desired ratio. Depending on the form of the culture and the manufacturer's instructions, the cultures are added to the yogurt mix to give an initial cell concentration of about 107 cells per gram. When bulk cultures are used, this translates into an inoculum of about 1.5% to 2% (on a weight basis). Highly concentrated cultures are now available, in either frozen or lyophilized forms, that require a much lower amount of culture to achieve the same starting cell density. The inoculated mixes are then incubated (either in the cup or vat) at 40°C to 45°C for four to six hours or until a titratable acidity (as lactic acid) of 0.8% to 0.9% is reached and the pH is about 4.4 to 4.6. Depending on the cul ture activity and desired final pH, the fermentation may be even shorter (i.e., three hours or less).The recent trend in the United States toward low acid yogurts means that the fermentation may be judged, by some manufacturers, as complete when the pH reaches 4.8 to 4.9,or just as the mixture begins to coagulate. In contrast, many traditional-style yogurts are fermented until the pH is near 4.0. As noted above, the incubation temperature can have a profound effect on the fermentation and the overall product characteristics. In general, L. delbrueckii subsp. bulgaricus has a higher temperature optima than S. thermo-philus. Growth of S. thermophilus is favored at temperatures below 42°C, whereas L. del-brueckii subsp. bulgaricus is favored above 42°C.Thus, by shifting the incubation temperature by just a few degrees, it is possible to influence the growth rates of the two organisms, as well as the metabolic products they produce. Since, for example, L. delbrueckii subsp. bulgar-icus is capable of producing greater amounts of lactic acid and acetaldehyde compared to S. thermophilus, high incubation temperatures may result in a more acidic and flavorful yogurt.